The Bandana Tablet Case in black is great for keeping your tablet safe while you commute to work or on your traveling adventures. 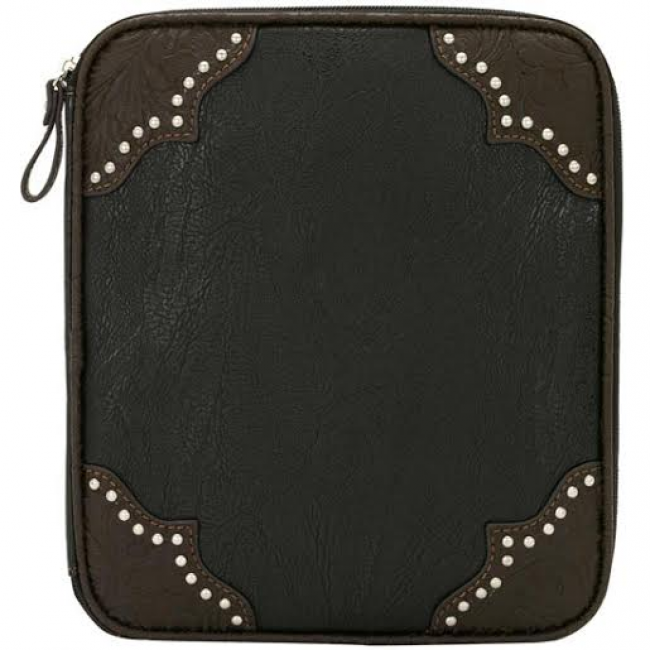 The case is fully lined with a pocket on one side and elastic bands on the other for your tablet. The outside is made of faux tumbled leather with the corners embellished with a patterned charcoal brown leather. Accents of silver metal studs on the corners add lots of fashion. Elastic bands to hold tablet secure.